In this article we’ll revisit Pallmann Magic Oil. In a future article we’ll take a look at Rubio Monocoat. We’re happy to say the pretty much everything we wrote in the original Pallmann Magic Oil article still stands true today. We are still extremely happy with the performance of this finish in covering each of these 6 points. So how has it performed in the real life? Below are some of the jobs we’ve been able to go back and revisit over the years in order to see how the Pallmann Magic Oil finish system was holding up. It gets quite a bit of traffic as any office and showroom would. We asked and nobody takes their shoes off (which makes sense for a public showroom), even in winter time. That means that snow, salt, dirt and grit gets brought in and walked over the floor on a daily basis. Extremely well as you can see in the photo above. To show how much abuse these floors get, last year, while we were back here installing and refinishing flooring in the hallway… one of their kids was riding his hover board round and round the kitchen. This is a perfect example of why we love and recommend this finish system so much. As you can see, the floors look like new. They have done a wonderful job looking after them. So, we have ample proof that Magic Oil is a wonderful, long lasting and beautiful finish system in all types of situations. Why Are There People Online Saying Their Floors Are Leaving Spots and Easily Scratching With Magic Oil? Yes, we’ve noticed that too. From the comment section of our original Magic Oil article and from phone calls we’ve received to help repair projects others have done, we see that certain people are definitely having issues with this finish. Can you start to see the problem? We’ve seen quite a lot of these types of comments on other home renovation forums too. If We Love This Finish So Much and Haven’t Had One Problem In 4 Years… Why Are Others Experiencing Such Issues? What’s the cause of badly performing Magic Oil floors that are leaving spots, patchy and blotchy areas and are easily scratched? 1. Inexperience in applying these types of finishes. This is referring to both inexperienced flooring professionals that are practising on client’s floors (a BIG no-no), as well as the huge army of DIY homeowners. These products are professional grade finish systems and take quite a lot of expertise and skill to apply properly. Yes, they can be done by a DIY homeowner that has some advanced woodworking and painting skills and follows the manufacturer’s instructions… but (and please don’t shoot me), its most likely out of the realm of most weekend DIYers. I say this because if even apparent professionals, with all the right tools available and years of experience with other finish systems, are having a tough time applying Magic Oil properly, how is a DIYer, without these tools and skills, supposed to be able to. 2. Too much finish being left on the floor. The chemical design of these types of finishes directs that in order for them to perform properly, they have to be applied in the exact correct coating sequence, in the right timeframe and all excess finish needs to be removed quickly before it dries and cures. If either of these steps are done incorrectly – like the comments shown above – then yes, there will be issues. Excess finish left on the floor won’t cure properly and will leave the floor patchy and easily scratched. Hopefully that clears up some of the confusion of why some are having issues… while experts in using these finishes are not. Like all things in life, the more skilled someone is at something, the better the result will be. When it comes to refinishing floors, it can be very frustrating, time consuming and costly when things don’t go right. If you decide to have a go applying Magic Oil yourself, please practice, practice and practice some more on large sample boards before taking a shot at your entire house. And even then, when you start, do the closets first, then the back bedrooms, then the main bedroom before starting on the more open and used rooms in your house. That way you’ll have some experience by the time you get to the living room. If you decide to hire a professional floor guy and he tells you he hasn’t used these types of finishes before… seriously consider whether you want him practising on your floors. Read the third comment above from our blog again if you doubt me. I wouldn’t want you to be an unsuspecting guinea pig and lose time, money and years off the life of your floors. There’s enough of us out there that know what we’re doing and have years of experience now. They need to do what we do and practise on sample panels in their workshop and on their own floors (every room in my house has a different finish). The photo above is another Pallmann Magic Oil floor we did early this year. It is red oak and stained Nutmeg. Yes, we have heard this too. In answer to her question… yes, it was a sanding issue. When attempting repairs in Magic Oil, you need to follow the exact procedure done with the original sand and refinish. Use the exact same grit sequence and even the same sandpaper if possible. Then the Magic Oil should be re-applied in the same way and with the same amount of coats as the rest of the floor. If the floor was water popped prior to staining, then that needs to be done as well. Then the exact same stain (hopefully a sample from the original container) should be applied and wiped off in the same timeframe. If you miss one of these sequences it won’t look right or blend in to the surrounding area. In some case’s it’s better to re-sand and refinish the whole board. That way if there has been any UV damage, the whole board will at least be the same shade. For our clients in Naperville and Chicago, we keep detailed notes of all our jobs such as sandpaper used, what processes were implemented, as well as samples of stains. That way, should they ever run into this issue, we can help them through the process… or be hired to do it for them. The project above was done about 2 years ago. This photo was taken almost a year later. Its Red Oak stained with 50% Sedona and 50% Ebony, finished with Magic Oil. As you can see they have quite a large dog and the floors still look great. Hopefully this gives you good, hands on insight into Pallmann Magic Oil so you can decide whether it is worthy of your consideration. In our opinion it is one of, if not THE best, hardwax oils on the market right now. We love this finish system and stand behind it proudly. We’re happy to have been one of the pioneers in experimenting with and using hardwax oils in Chicago. We intend to offer them to our clients for many years down the road. We always water pop before staining. We don’t use products like gel stains. You will see on most of the labels of these products that they are not recommended for using on floors… for good reason. Thank you so much for your help! Do you know by chance if one can use either a wood conditioner or gel stain (I read on a wood working site that this actually works better) to avoid blotching issues common to certain wood species? I know that it is possible to stain the wood prior to the Pallmann, but I am uncertain as to whether or not there is a way to simply eliminate the bit of blotching I am getting on my test boards with both Rubio and Magic Oil and if so is there a particular product that should or should not be used to do so. I hate to bother you! I just can’t seem to find the answer anywhere. As a heads up, the Rubio Monocoat Revisited post will be extremely positive too. To date we have finished 47 floors with Rubio and haven’t had 1 single incident. We – and more importantly our clients – love it. I would say the deciding factors between the two will be color preference and sheen level preference. Rubio has more color options whereas Magic Oil has a higher sheen level. Hope that helps make your choice a little easier. I’ve enjoyed following your blog posts for awhile now. Thank you for sharing your expertise & your valuable time! Have you have ever had a customer that requested Rubio, and then changed their mind regarding the matte finish? If so, are you able to go over the Rubio finish with a 2nd coat of either the Osmo or Pallman brand of hardwax oil? To answer your first question, no we haven’t as yet. For the second question, no again sorry. You can use a polyurethane finish over top if you want more sheen. But this will take away the functionality of the Rubio and make it a surface finish floor. Thank you for your helpful information. When you mention stain and then Magic Oil, what brand of stain are you using? Does it change the Magic Oil sq/ft coverage or amount of time to setup before buffing off? We would like to use Minwax stain because we have raw hickory floors and the sample oil stain varies in color much more than the Minwax. We use Duraseal stains. It will change the coverage slightly but the time between buffing stays the same. Can’t comment on Minwax stains though sorry. How do you buff oil on stairs? Please advise on use of pallman magic oil if red oak floor is to be distressed by screw driver tips/ ice picks and back side of hammer for indentation. Then steel wool soaked in vinegar several hours and the liquid rubbed on to blacken before hand scrapping. This floor also has v groove. these recessed areas will remain blackened as will any we choose to leave behind with the flat plane hand scraping. Duraseal for staining then neutral magic oil. Specifically will these areas recessed create any potential problems with the magic oil finish? How about additional drying time given these areas may “pool” the stain? Thank you for your in depth website! This has been the single best source of information on oil finishes I have been able to find anywhere. I am forcing my very experienced but stubborn flooring contractor to read this before he partakes on my floor! Wish you would work in Cincinnati as your passion for your craft is impressive. I have to say you are certainly unselfish to spend the time you do sharing your knowledge and expertise with others and I have learned a lot reading your reviews and replies. I have a different situation from those I have seen on your site and would appreciate your advice. I have a non-commercial woodworking shop and I am replacing my current floors with solid wood 80% heart Caribbean Pine . So, I have been researching the best finish for this type of application. I fully understand that that no finish will protect the floors from the scratches and gouges to be expected in this environment, so a finish easy to repair is important. Also, of importance is some protection from spills such as wood stains and something that will not allow spilled glue to adhere strongly to the floor surface. Additionally, the faster the cure the better. From what I have read on this site I am leading towards Rubio or Magic Oil. The low sheen of Rubio is not a issue for me and the idea of the one application process is appealing. Of the finishes you have experience with, which do you believe would be the better option for my situation. Your assistance is much appreciated. Personally, I would go with Magic Oil in this situation. It has a bit more of a wear layer and will probably be easier to remove the spilled glue from. You’re welcome Byron. Hope the project goes well. I have just recently found your website and blog and have a question about Magic Oil since you are so knowledgable. 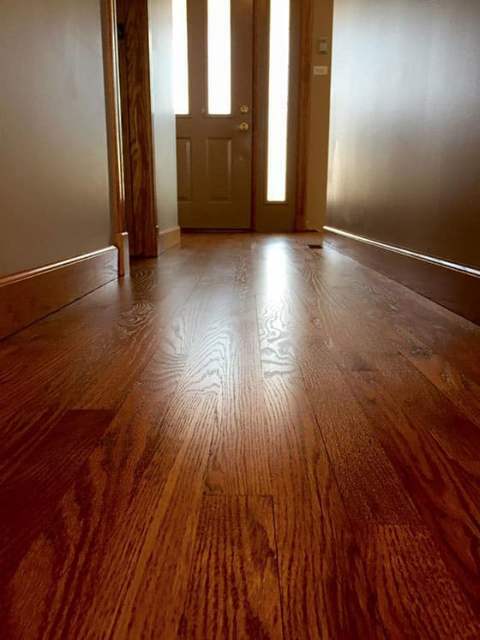 I was wondering if floors that have been sanded and one coat of a protective oil based sealer applied, can have Magic Oil used as the final finish? I am doing a restoration project and for several reasons, the floors needed to be sanded. The floor guys wanted to put one coat of sealer to protect them. They are now covered and we will not be ready to do the final finish for probably a month. Before i ask them about Magic Oil, I thought I should know if it is even possible to use it at this point. Unfortunately it won’t be possible. It can go over stained floors but not another oil based product sorry. I was afraid of that. Would it have been possible to do that with the Magic Oil if I had started with that? By that I mean, if the first coat had been Magic Oil, could the second coat have not been put on a month later to finish? Also, if you don’t mind, I would love to have your opinion on another floor. I wish you were in the South so I could hire you but since you are not, thank goodness you have this wonderful blog! I have another project, a historic house with 150 yr old heart pine floors that are in horrible condition. Once they are sanded, they will, as you know, be red. I would like to kill the red as if they have no stain or finish on them and have a mellow, worn patina. Not weathered like they have been outside but aged like they would have been all those years ago. I think a hardwax oil finish would be perfect but I do not know how to achieve the color, or lack of color, and neither does anyone I have talked to around here. 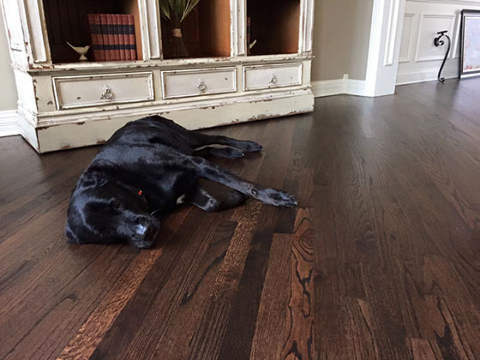 Most of the time here, even on the antique heart pine floors, everyone puts a glossy polyurethane finish. I think a worn, natural look would be beautiful if I could achieve it. Does this make sense to you and do you have any suggestions as to how I could accomplish this? Technically yes you could have done that. We most likely would apply 2 coats first (for better protection) and then a third coat later on would be possible. And yes I agree, a “worn, natural look” would look great. I am re-sanding my outdoor covered porch as areas from the Virginia sun have become black and the finish destroyed, leaving bare wood exposed. The entrance and stair areas that are black are in direct sun for certain times of the day. Rubio exterior products are not available in our area. Can you please recommend a product similar to Rubio that I can get at Home Depot or Lowes? I have ordered Rubio but the sanding may be done prior to Rubio Monocoat Hybrid Exterior arrives. I ordered Rubio after the over night deadline. The weather is a factor in getting this done so waiting for Rubio to get here may not be an option. Thank you in advance for your response. Sorry for the delay in getting a reply to you, it’s been a busy couple of weeks here. I’m sure you have found a product by now. We aren’t really experts in exterior finishes sorry. I have heard that Sikens has a pretty good reputation though. 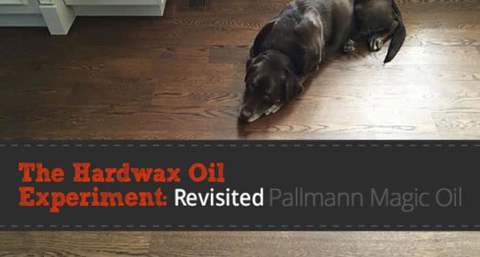 Can you apply Pallman white hardwax oil over duraseal stained floors? Everytime I see that Pallman hardwax oil can be applied over a stain it always says the natural hardwax oil. Not 100% sure to be honest as I haven’t tested it. I’m sure it’s possible if done right but I would do a sample up first to make sure. Thank you so much sharing your knowledge and experience. I live in Charlotte, NC. Sounds like the key to good outcomes with Magic Oil and RMC is excellent preparation and execution of the application How do I find a floor refinisher as good as you? I hope you find someone great for your floors. Great site! Thanks for sharing your experiences over such a long time. I have a magic oil finished (professionally) floor just over 18 mos old and it still looks amazing. I too have a question about magic oil white. Do you have any example photos you can share? Looking at doing just the white finish over rift sawn white oak and am wondering what it might look like and any tips to getting that “Nordic” look. Thanks. Need quick advice if you can for an ongoing work. I am getting my red oak floor refinished with duraseal stain and pallmann magic oil. Contractor put the samples on the floor, it feels very rough, perhaps from the water popping. Floors has been sanded down. He smoothened the sample area with screen mesh and then water popped and the applied the samples. The screened section felt really smooth, but not so after sample were put. Contractor assures that after he does 3 application of pallmann with red/white pads it will feel smoother but never like the screened feel. 1. Is there any tip you can provide to get a silky/smooth/velvety finish? Can maroon pads be used between application for a velvety finish? 2. How can I get similar finish on stair handrails where its not possible to use machine? Thanks for the answer on this one — I’m preparing to finish my first floor, and was concerned about the raised grain from water popping on the samples I’ve made. I thought it would buff out with the Red / White pads, but good to hear some confirmation on this. There’s very little good info on the web regarding the finer points of using Magic Oil. Cheers. Yes the first coat will always feel a bit rough. As you said , it’s due to water popping. This is always sorted out with buffing between the following coats. It should end up smooth like you want if done right. I’m sure your floor guy will know what to do. Thanks Tadas. Floors have come out really good, love the feel. I learnt a lot about HWO finish from your site that helped make choices, thanks for the informative site. Handrails are turning out challenging. Earlier it was lacquered, and it felt smooth and grippy. Now with Pallmann Oil, it feel rough and slippery. Rough is understandable, but slippery is worrisome, because handrail should provide grip to help you stop a fall. Any thoughts on how I can recover this? We are trying to decide between Osmo and Magic Oil for our White Oak character floors with Bona Nutmeg stain. Do you have any thoughts or suggestions? Both finish systems are good and the nutmeg stain will look great under either of them. I would go for the finish your floor guy has more experience with. Hi Tadas! Thank you for sharing your knowledge! We are in the process of building our home and have a large venthood cover that is made from rustic walnut. Obviously we can’t run a buffing machine over it but we could get a handheld one for the larger areas and handbuff the more detailed and smaller sides. Is this what you would recommend? I also noticed it’s rated to be used on heated floors so do you think it will hold up with the heat from the cooktop? The hood has about a three foot clearance above the cooktop. Thanks again! That’s a new one for me but I can’t see why it wouldn’t work. Yes you should be able to hand buff. It cures in 24 hours so after that it should be good. Maybe do a test sample first and put it beside the cooktop to see how it performs. We will use Pallman oil for our white oak floors. First we would fume it to make it gray with Rubio and then use two coats of gray Pallman oil. Do you think it is a good plan? We want that modern gray hardwood look that is so popular these days. Sorry for the delay. I’ve been on a bit of a break from the website, too busy with work. Yes you can definitely use fume first and then apply grey Magic Oil. Should look great. Remember to test an area first though. 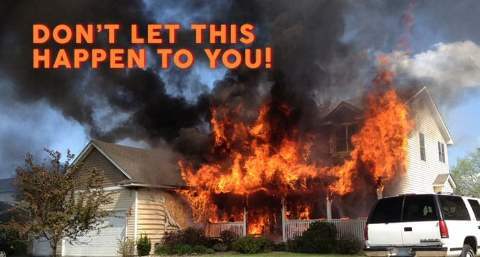 And practice with the fume if you’re doing it as a DIY project. It’s not easy to apply evenly. Thank you for all the wonderful advice you post! I just had my oak floors refinished with Magic Oil. The floors are “patchy” in appearance (some areas have an oil sheen and other areas do not). Also there are swirl marks from the oil. What went wrong and how can it be fixed? Thanks! Sorry you’re dealing with this. It looks like it wasn’t either sanded properly, applied properly, or both. Unfortunately it’s very hard to diagnose the issue without seeing it in person. If it’s just the application, then the excess oil needs to be fully removed, buff the floor and apply a new even coat. Getting ready to install approx. 2,000 SF of reclaimed/antique heart pine. Trying to decide between Woca, Waterlox, and Magic Oil. So far I haven’t put any Magic Oil on any sample wood – I like Waterlox over Woca (in appearance). Just curious if you have any experience with 100+ year old high resin heart pine and any finishes you might recommend over another. I’m sure David already solved his issue, but for others who might read this, I used Waterlox about 10 years ago on a wide-plank softwood floor, and it unfortunately has not held up well. Waterlox does not form a very hard film and wears fairly quickly, leaving bare wood in high-traffic areas. It looks fabulous and rich when it first goes down, but doesn’t hold up. I am getting ready to do a refinish, and next time I’ll use Magic Oil, I only wish it was available when I did the first finish. I’m not an expert on Woca or Waterlox sorry. On that note, we don’t have much experience with reclaimed pine either. I will say what I say to everyone here, get some sample finish, some scrap boards and do a series of tests to see which one you like the best. First of all, thank you for the highly informative blogposts. Hoping to get your advice, as it looks like you have a fantastic understanding of your craft and trade. First off, this is a CABIN so we have a different standard than if this were a project in our own home. For that reason, we are looking to refinish the 1960s floors on our own, with a solid understanding that we will not do the same quality of job as a flooring expert. That is partly why I am seeking your opinion as the product we choose will likely be key in ensuring we get acceptable results. We are pretty fastidious and detail-oriented so hopeful we will do an adequate job. Floors are tongue and groove, 2×6, post and beam construction (no foundation underneath), no insulation. We are in the Pacific Northwest, so a fairly damp climate. There are gaps between the boards, which we will not be filling – too labor intensive, considering this is a cabin, the gaps also provide character to the flooring. We don’t believe there was a finish on the floors previously but we cannot be sure however we have sanded the floor in preparation for finish. Our concern is the gaps and what product will be forgiving. Additionally since this is a cabin, the flooring will not experience consistent humidity, temperature,etc. While the flooring will not get wet, it almost is akin to a covered porch than an interior application. We have waffled back and forth between considering Pallman’s and/or a more traditional poly finish using a product such as Duraseal. Due to application technique and the gaps, we are wondering if we ought to consider an exterior product such as Cabot Gold or similar since it can be applied with a brush in lieu and it might be more resistant to the humidity fluctuations. We are concerned the poly or Magic Oil may flake or bubble due the humidity/temperature changes. Help! Any additional insights? I have no experience with it, but it looks like it could be perfect for this project. Thank you for your amazing blogs and the time you spend to answer questions. I have been reading for 2 days now trying to find the answers but I feel I haven’t found a situation quite the same as mine. We just installed a 300 SF reclaimed wood floor that is rustic in character (we consider desirable). The reclaimed job was 100% DIY so the boards are not milled or planed to even out the thickness and warpage. The planks are variable width from 8 to 10 inches. They do not lay perfectly flat on the floor due to thickness and warpage so the result is larger gaps in some places than considered normal. We do not intend of filling these. I read in one of your blogs that floors with wider gaps are a concerns when using a HWO but I want the matte finish with little to no buildup of a HWO. I watched the Pallmann Magic Oil application video which seems a little friendlier than the Rubio system (maybe because the Rubio system is one step and seems more rushed than the other process). Can you advise if one of those would be better for my application than the other with the gaps and imperfections and being a DIY project? Or is there another product that might be more forgiving? One other important thing is that I want the natural light color of my wood to remainso I am concerned about the product darkening my floor. Any advice would be appreciated. Thank you! You floor sounds like it will be a challenge to coat in the traditional way. I don’t think you will be able to use a buffer if applying a hardwax oil. They most likely will need to be done by hand, which will take a lot of extra effort and time. You also said you would like the “natural light color of my wood to remain”. That can be a challenge too depending on how light you want it to be. My suggestion would be to have a look at a product called Bona Naturale. It is a very matte water-based finish system that looks similar to a hardwax oil finish. It will be easier to apply and have the looks you want. You will want to roll this finish and not t-bar it though. Otherwise you’ll lose a lot in the gaps. What is the best finish to resist UV rays from fading my oak floors that I am going to have refinished? Hello Tadas! I can’t tell you how helpful your blog is and how much I appreciate you sharing your knowledge. My family just moved from Chicago to Connecticut, or else we’d hire you in a second! I’m hoping to get your opinion on something. We recently purchased a home with beautiful floors (oak, we believe). I’d just like to stain them a couple shades darker. We have two kids and it’s very important to me to use low VOC stain. That being said, I like deep, rich floors with some shine, and our boys are pretty hard on floors. What would you recommend using? When you say you sometimes use stain under the Pallmann Magic Oil, which stain do you use? Thank you! As we’ve magic oiled white oak in stages of our remodel, I’ve appreciated your blog and advice, which has made for a largely successful application. However, on the first coat in a recent room we’ve completed we likely went too long beyond the “mix time” of the magic oil (60 min), and in the final stages the oil became a bit too sticky and left a bit of an excess that hardened on the surface rather than soaking in. Do you recommend a method to buff down some of these surface patches without damage to the entire surface? Unfortunately you will need to screen or lightly sand your floor to remove those spots and then reapply another top coat. Hi, I am wondering if you can tell me what color you used in Project #1 – Elmhurst, Illinois. I have cherry cabinets, similar to your island in the photo, and am having a hard time finding a floor color that will work. The one in the photo looks perfect! This is a custom, multi-process color. It uses a custom made pre-treatment, plus fuming and then a stain. Not easy to do or replicate unfortunately. Sorry. Thank you for sharing such helpful information. I have a question that I wonder if you have run into. 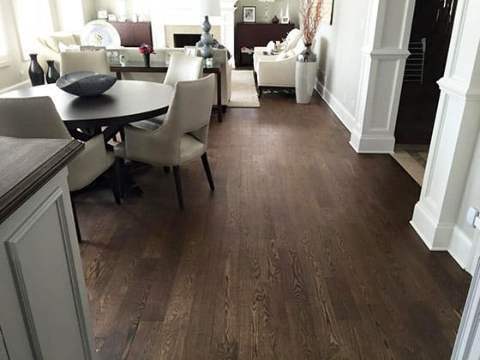 I have R&Q White Oak floors that were factory wirebrushed and prefinished. The finish was some kind of “reactive stain” to just slightly warm the tones, and then a UV cured WOCA oil. They are beautiful; however, we are getting some spots where the dog drips water, and under where the christmas tree was – even though it had a towel underneath and we were careful about keeping it dry, I can only assume some dampness got there. These spots don’t quite look like a lifting of a wax, but instead look like the reactive stain gets washed out underneath. I am wondering how to “fix” this, or at least prevent further incidents. Does it just need a buff with more WOCA? Or can something like Pallman’s or Rubio be applied over WOCA? Perhaps I may need to give it just a light sand or buff as it is wirebrushed after all? Sorry to hear this. We don’t have any on-site experience with WOCA unfortunately. And we wouldn’t suggest mixing finish systems as it will lead to more issues. I would suggest getting in contact with the manufacturer or WOCA directly and see what they suggest. Have you used maintenance coats? These penetrating finishes need maintenance from time to time to keep up the protection. Again, not certain about WOCA though sorry. I want to use Magic Oil for the ease of repairs, and as much sheen as I can get in a product like this. Why do you stain under Magic oil so often, rather than using the Magic oil colors? What type of “stain” does the Magic oil use? Does staining or Magic oil colors perform better agains UV fading? You must feel comfortable that enough of the Magic oil absorbs into the floors – do you do one or two coats of Magic oil over a previously stained floor. Mainly because those are the colors the clients want and they can’t get it with the limited Magic Oil palette. We do 2, sometimes 3 coats over the stain. Depends on the project. Great articles! I am a DIY’er, about to install 2nd grade Maple unfinished flooring into the kitchen of our 1890’s house. The subfloor is brand new and flat. We do have a dog, and kids. I’m all for the wax/oils in lieu of poly and love the more flat natural feel. Which of the oils tested do you think would be best on Maple and easiest to apply? Best durability, no water staining is another concern in the kitchen. Am I asking too much? Thanks, please keep up the great blog. 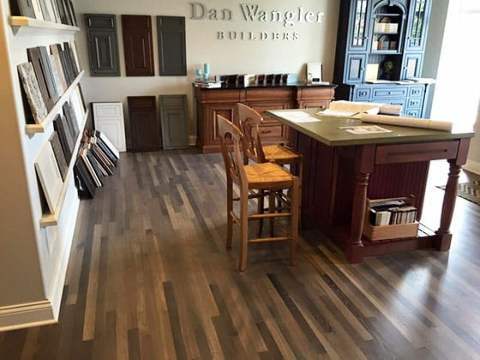 5 months ago we had 2500 square ft. of old growth walnut wood flooring installed in our newly renovated home. Our supplier recommended finishing the floor with Rubio monocoat. 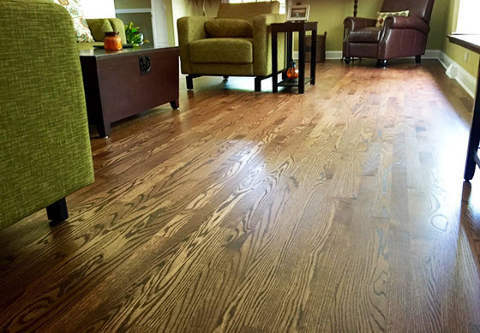 We felt our builder who has installed and finished many hardwood floors was capable of finishing our floors. We all watched the you tube videos and spoke directly to the retailer and Rubio district representative to have all if our questions answered before beginning. The wood had sat for over two months to acclimate to our dry climate and installed beautifully. The sanding process went well as did the application procedure as directed by Rubiocoat. After the first coat the finish dried patchy with dry and shiny spots. A second coat was applied in the same manner as directed and showed some improvement. It took two more coats to get an even finish. From the moment we could walk on it, the floor has shown every footprint, it scratches at the drop of a hat, and seems to be magnetized when it comes to hair, dust and dirt. The over all appearance is dull, splotchy and dirty looking. Cleaning it with the Rubio soap only has dulled the floor more. We are sick over the money we have invested in these floors and the Rubio coat products, only to end up with a floor that is literally a nightmare to look at each day. Short of sanding the entire floor, two sets of stairs (17 steps each) and completely starting from scratch, do you have any suggestions for a fix? 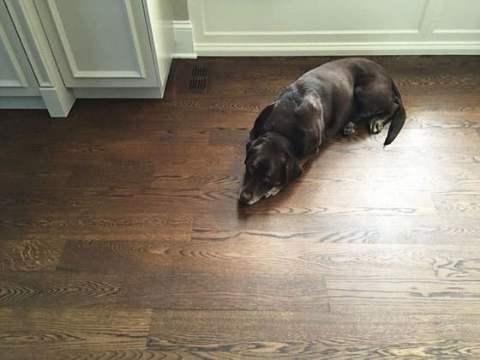 I recently had my floors (~2500 sq ft) refinished in Magic Oil tinted (5 BlackBrown : 1 Grey). The floor was water popped after sanding. The contractor claimed to be experienced and had installed many hardwax/oil floors. On the first attempt, he made numerous obvious mistakes with resulted in a complete re-sand. On the second attempt, the first coat came out perfectly. Exact color and sheen we were looking for. We were thrilled. However when they put down the second coat 24 hrs later, it completely changed both the color and the sheen. We ended up very dark, almost a dark caramel color rather than what it looked like after the initial coat and the samples we did before they started. Secondly, the sheen is now a mix of very shining surfaces to very dull with what looks like a haze over it. Many of the boards have both shiny areas and hazing on the same board so it’s not just variations board to board. We essentially have islands of different looking floors with varying color. Some of the areas you can actually see what looks like a film on the boards when it’s in the sun. It looks terrible, so disappointed. My bet is that the installer left the second coat on too long, varying times in different areas, and didn’t remove enough of the excess stain. The contractor assured me it would all be fine given time. I’ve given it time, it’s not changing. This process took a month given all the problems and now we end up a horrible floor and out a huge amount of money. Very frustrating. I’ve been in contact with Pallmann and they suggested buffing with a green pad followed by Magic Oil Care. I doubt that will lighten the floor closer to what the first coat was, but maybe it will fix the sheen issue. Before I rip out the floor and put this mess behind me, do you have any suggestions? Is there anything short of a complete re-sand? Thanks in advance, looking forward to your reply.